Rome: Total War (RTW) is a strategy game that blends turn based strategy with real time elements. 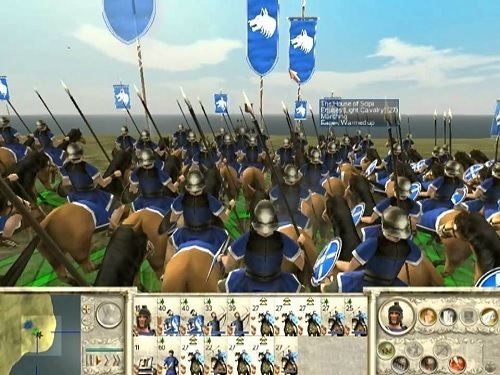 It is part of the highly popular and successful Total War series and is available for PC and Mac. The game is the third game in the series and also one of the highest rated among fans and critics. 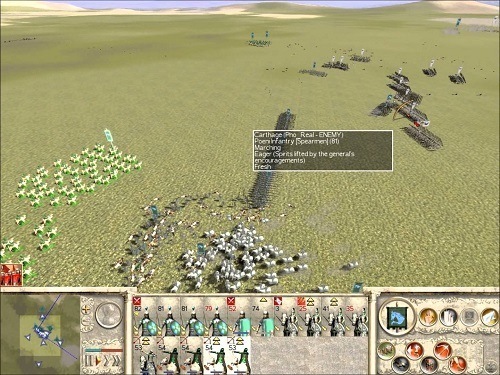 As the name suggests the game takes place during the Roman Empire and has players taking on the role of one of the available Roman families in the campaign game mode. These families (Scipii, Julii and Brutii) all have their own attributes and different early games (controlling provinces and objectives). This variety lets players easily replay the campaign multiple times and approach the game in a different fashion each time. Your goal in the campaign mode is to eventually overtake all 50 of the provinces and then Rome itself. Alternatively, players can play a short game mode where they only need to control 15 provinces. Outside of the campaign players also have the option to recreate some famous battles from history. As mentioned previously the game combines turn based and real time strategy which is a core element of the games success and makes it accessible to all fans of the strategy genre. Each turn players will spend their time managing their diplomacy, developing buildings, moving troops and managing other affairs of your provinces. Buildings will take up most of your time and are used to unlock new units, increase people’s happiness, improve your wealth and protect from invasions. The real time game aspect comes into play during the combat phase of the game with players overseeing battles in a 3D tactical setting. The game transitions between the two gameplay elements seamlessly and with battle fields reflecting the landscapes of the world map there is also a realism element to enjoy. Just like the other games in the series Rome: Total War has great depth all around that will have strategy fans hooked from start to finish. The game is also surprisingly accessible to casual strategy fans willing to invest a little bit of time to learn the game mechanics. Mixes real time and turn based strategy together. Huge amount of depth to explore. Manages to be easy to pick up and hard to master. Multiple families to use in the campaign mode. Relive some battles from history.